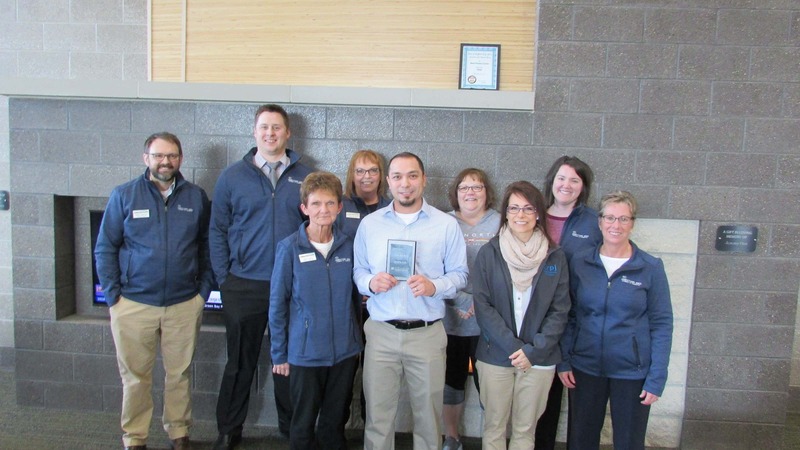 JAMESTOWN, N.D. (NewsDakota.com) – Members of the Jamestown Area Chamber of Commerce Ambassador Committee and the Young Professionals of Jamestown presented the Customer Service Award for January to Boya Quichocho of Two Rivers Activity Center for his outstanding customer service. The chamber honors individuals who demonstrate a consistent commitment to delivering products or services that satisfy customers by exceeding their requirements or expectations. 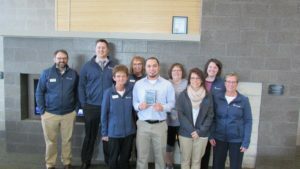 Congratulations to Boya, who along with all the other monthly winners, will be recognized at the Chamber’s annual banquet in January 2020. Customer Service Award nomination forms are available at the Chamber office and on their website at www.jamestownchamber.com or call 701-252-4830.